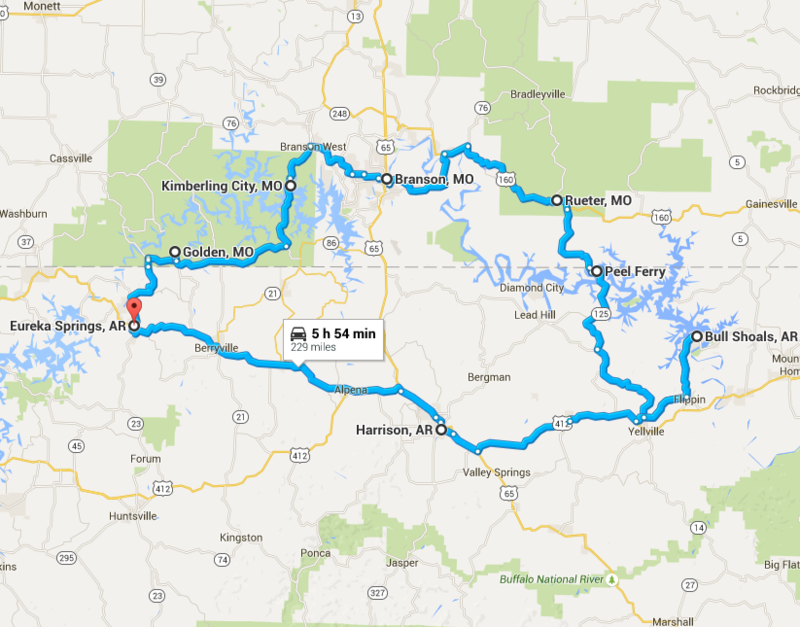 Pig Trail Ride – Top 10 Route in the U.S. 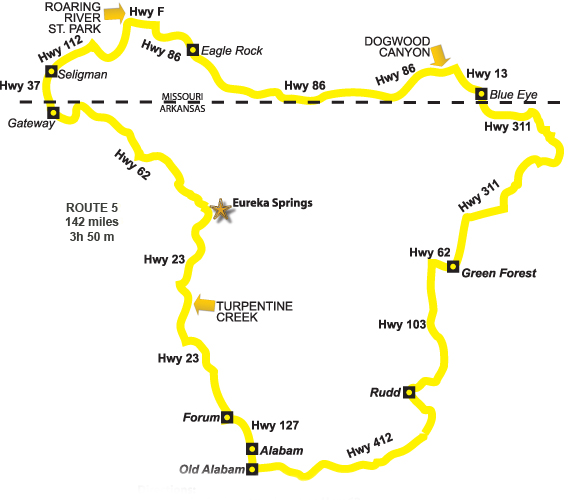 Pig Trail Ride - Top 10 Route in the U.S. 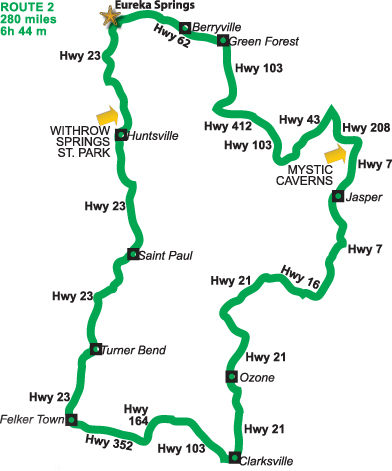 This ride runs through Peel Ferry on serpentine roads through wooded landscape. 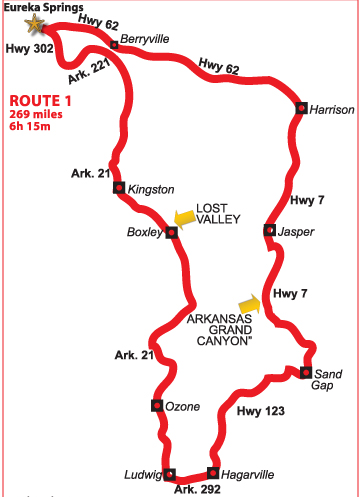 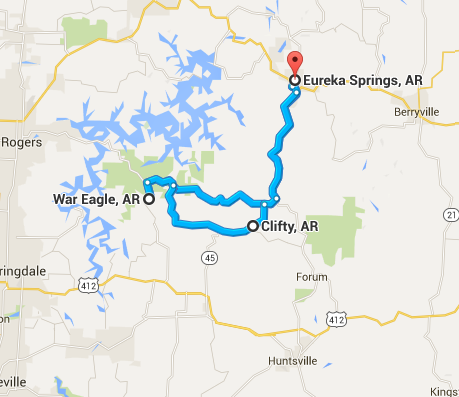 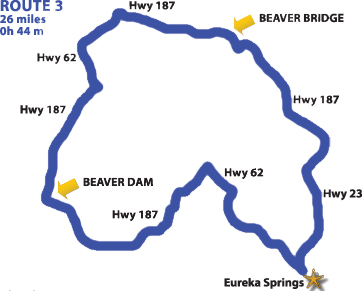 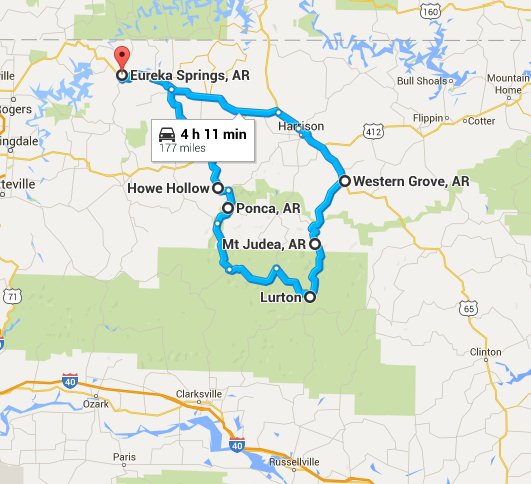 From Eureka Springs take Highway 23 South to Highway 12 and follow it to War Eagle Mill. 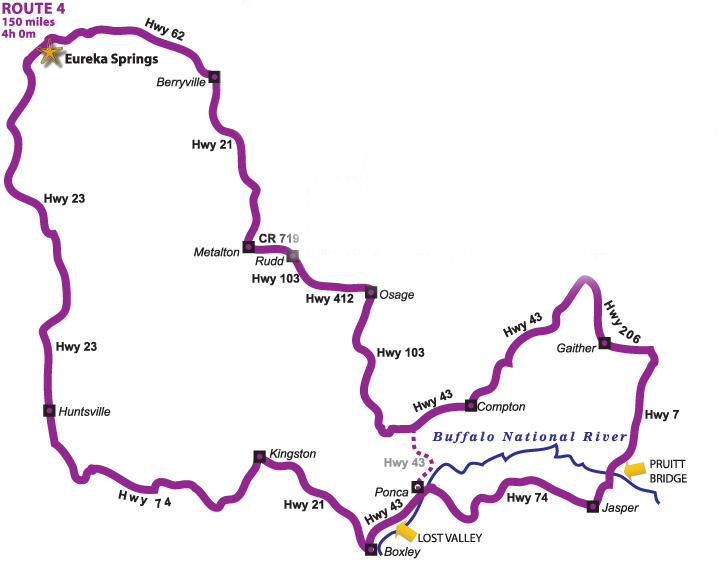  Interesting stops along the way include the Buffalo National River, Lost Valley State Park and the Historic Harrison Square.